This page is the complete description and details for the summer camp assistant coordinator position including job responsibilities, dates, wage, etc. At the bottom of the page you can apply online and download the complete pdf job profile. Reports to: mainly to Activity Coordinator but also to Welfare and TEFL Coordinator. Responsible for: Groups of around 12 children. Also responsible for being a “Head Monitor” role and covering activity coordinator in certain moments. An assistant coordinator is for all intents and purposes halfway between a monitor and an activity coordinator. In most, although not all, they are a returnee who has shown a very good performance in the past. The assistant coordinator is mostly the same as a monitor (so perspective candidates should read the job profile for that position also) with some extra responsibilities. The assistant coordinator is the link between the staff and the mid-management as they work closely with the activity coordinator while also being an exemplary monitor. The assistant coordinator will also act as the activity coordinator in certain moments such as when they are off or are ill.
Assistant coordinators play a key figure in staff morale as they are usually looked up to by the rest of the staff and so they should be someone who is interested in being a leader of a group of people, and in inspiring a positive and productive work environment. To carry out all responsibilities of a monitor and act as a role model to monitors offering support whenever necessary. To assist the coordinators in ensuring that the age group programme is run to the highest quality in all areas. To assist with the management of the monitors and teachers in all areas of the assigned age group programme. Reading the camp manuals, http://www.tecs.es/employment/, and familiarising yourself with all areas of the camp programme before your arrival on camp. Be responsible for assisting the coordinators and welfare in training the monitors and teachers in all areas related to the camp programme (except TEFL). As required oversee the morning routine from wake-up to after breakfast, will be at least once a week and any other time of need. 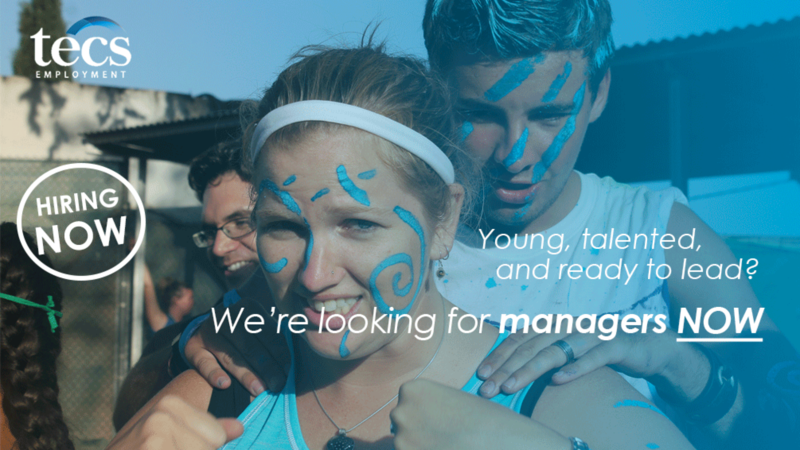 With the activity coordinator, oversee the general sports sessions and run the big colour war sports competitions as needed. Be responsible for ensuring the proper usage of all Arts and Crafts materials and sports equipment at all times and ensure that monitors and teachers always have all the materials they need for activities. Be responsible for overseeing shower, phone calling and chill out times as assigned. Assist the activity coordinator in organising and running the evening entertainments. Assist in the running of the arrival’s and departure’s programmes for the assigned age group. Be responsible for running competitions during sports sessions and evening entertainments as assigned. Attend the daily age group meetings and assist coordinator with the running or preparation of these meetings as required. Ast. Coords will run these meetings at least once a week. Meet daily with age group coordinator and pass on any relevant information and request information as required. At all times keep the Coordinators and Welfare informed on staff performance and problems as you are aware of them. Any candidate for this position accepts they will also be responsible for carrying out all responsibilities outlined in the Camp Monitor’s job profile. Assist monitor with the welfare/discipline of the children in the age group at all times and discuss regularly with age group welfare and other coordinators about the action taken or needed to be taken to deal with problems of the children. Carry out all tasks asked of you by the Coordinators, professionally and thoroughly. As assigned, run the age group programme on one of the weekend excursions. The hours of work for an Assistant Coordinator are not set and are instead dictated by daily events. All candidates should be prepared to have an open work schedule and be prepared to work long hours, particularly in the initial stages of camp, to get jobs/tasks finished. Assistant Coordinators should also note that they do not have the same time off as normal monitors, but instead have a schedule, like all other management staff, which is dictated by daily events. The Assistant Coordinators will have one day off each week at the weekend. Daily time off, will be dictated by the individual day as stated, but will usually be for between 3 and 4 hours in the morning. Assistant Coordinators, because they have leader duties, will have one week evening (from end of evening entertainment) and the morning after off. All staff are also always required to stay on site at night on pre-departure Fridays and on all Sundays. For all assistant coordinators, regular feedback will be provided from the Activity Coordinator and TEFL Coordinator about job performance and objectives. Also the Activity Coordinator and/or the TEFL Coordinator will be available at any time to discuss concerns or problems that may occur, or to offer support in situations when help is deemed necessary. One to one meetings can also be arranged with the Camp Director at any time. Experience of organising activities for groups of children and preferred experience of working with foreign language children. University degree or relevant qualifications in child care. Applicants with TEFL or sporting qualifications will be looked upon favourably. Interpersonal skills, with ability to man-manage in a motivational and fair way which encourages staff to maintain high levels of performance. High level of oral and written skills including persuasion, negotiation and advocacy. Knowledge of Spanish and the customs and culture of Spain preferred but not essential. Arrive on Friday 21st June 2019. Management Training Weekend: 22th + 23th June. Staff Training Week + Camp Preparation: 24th June – 29th June. Camp Work Start Date: 30th June (camper’s arrival)*.